So true. . .and probably much more important than having the right answers is to have the right questions. What are my blindspots and misconceptions in seeking to move the needle on poverty alleviation, medical education, access to world-class healthcare? What does it look like for the world to need Africa. . .not in some vague macro-economic sense, but in practical reality? What can we learn and share from our beloved Kenyan friends? Will Africa change the world through medical research, financial innovations, positive cultural frameworks of faithfulness to family and community, entrepreneurship, sharing economic systems that are not oppressive to the poor? In other ways? If I left Kijabe tomorrow, what would remain of what I am building, either with Friends of Kijabe or with relationships? What will actually last, how do I invest in that, and where is the best investment of my time? What battles are the people around me fighting? What if I had to leave Kenya? Could I survive the heartbreak? When did I truly start loving sukuma and ugali and develop an insatiable taste for Kenyan milk? What is the true, deep beauty of Kenya – beyond the surface of beautiful landscape and animals – that we must convey if we are to share the true narrative? Who do I identify with as an American-African? Who are my people, my tribe, my family? Where is the line between need and opportunity, compassion and enabling? Who do I fundamentally, unequivocally trust? How do I fill my life with good, wise, constructive voices? 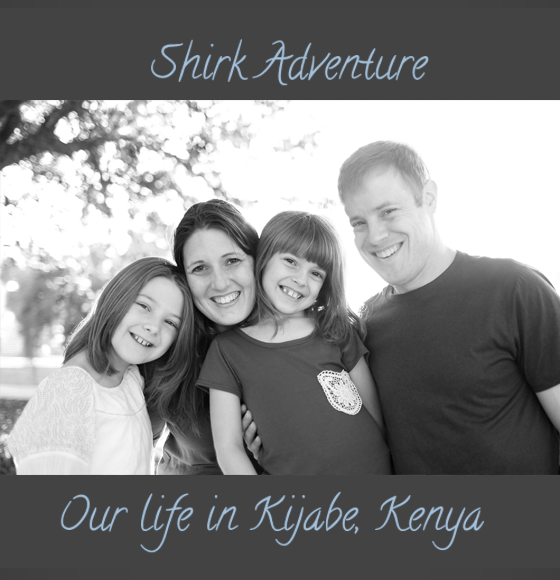 When our friends and family come to visit Kijabe, what do we want them to see of us? What does a disciple look like, who has fully embraced the gospel but has not relinquished his or her identity? If I could only accomplish one thing today, what would it be? If I could only accomplish one thing with my life, what would it be?